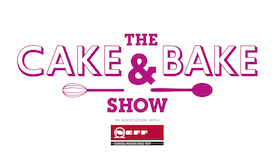 The Cake & Bake Show, in association with NEFF, is an experiential live event for baking and cake fanatics. It is set to turn up the heat at four venues this year – in Harrogate International Centre in June and in London Excel, Manchester EventCity and Edinburgh Royal Highland Centre in October. Those with cake cravings or a passion for pastry can take classes, attend demonstrations and browse the hundreds of stands offering baking equipment and latest sugar craft supplies. So, whether you’re an amateur enthusiast looking for a fun family activity, a home baker for some helpful tips or a sugar-crafter on the hunt for the latest equipment, the Cake & Bake Show will give you enough ideas on everything baking fans could need. Experts to enthusiasts alike will come together at The Cake & Bake Show for three days of guaranteed eating, encouragement, education and entertainment. Check the Top 10 celebrities at each of The Cake & Bake Shows! See Britain’s favourite foodie expert Gregg Wallace, celebrity chef Rosemary Shrager, Aaron Craze of Saturday Cookbook, actress and winner of Celebrity MasterChef Lisa Faulkner, TV chef Phil Vickery, French pâtissier and celebrity chef Éric Lanlard, as well as Coronation Street star and Celebrity MasterChef finalist Wendi Peters. Joining them and whipping up a storm on the Super Cake and Bake Theatre – in association with NEFF, will be the nation’s favourite baking stars Jo Wheatley, Great British Bake Off winner from 2011, John Whaite, the charismatic winner of The Great British Bake Off 2012 as well as fellow seasoned baking star Brendan Lynch. 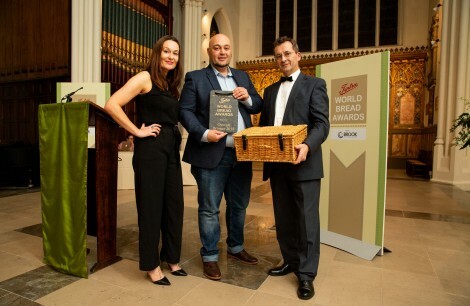 These are just some of the famous names on view and each event will be packed with a host of other renowned foodie experts.